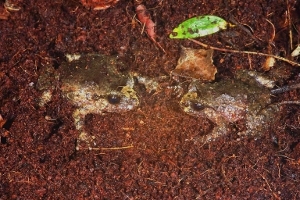 Hochstetter’s frog is one of four surviving species of endemic frog belonging to the genus Leiopelma. A further three species are now extinct. Leiopelma is considered one of the most ancient of all living amphibian genera, having retained many primitive characteristics during their long period of isolation. All of our frogs are threatened, not least by the chytrid fungus and introduced mammalian predators. Hochstetter’s frog is Vulnerable on the IUCN Red List. The Native Frog Recovery Group has established a captive population at Hamilton Zoo and we need to work out how to look after the frogs and get them to breed. The original frog enclosure needed an upgrade to recreate more closely the natural environmental niche occupied by Hochstetter’s frogs. The four sub-enclosures would also be kept under slightly different conditions to research what was best. In 2009, water coolers to provide water temperatures in a tight range with a top of 15 deg. C throughout the year were installed. 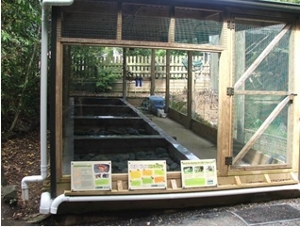 A new rain water collecting system provides a rainstorm effect within the enclosure during wet periods (intended to trigger breeding activity). New drainage systems give fresh water flow, and data loggers monitor the created climate. New rocks, rotting logs and other substrates (all sterilised before introduction to prevent introduction of chytrid fungus) complete the effect. 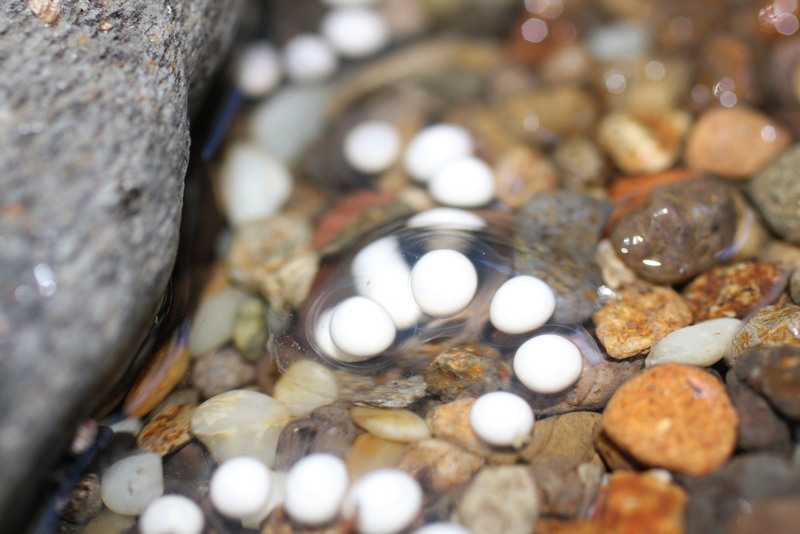 Zoo staff found the frogs had laid some eggs by April 2009, following on from some wet weather. 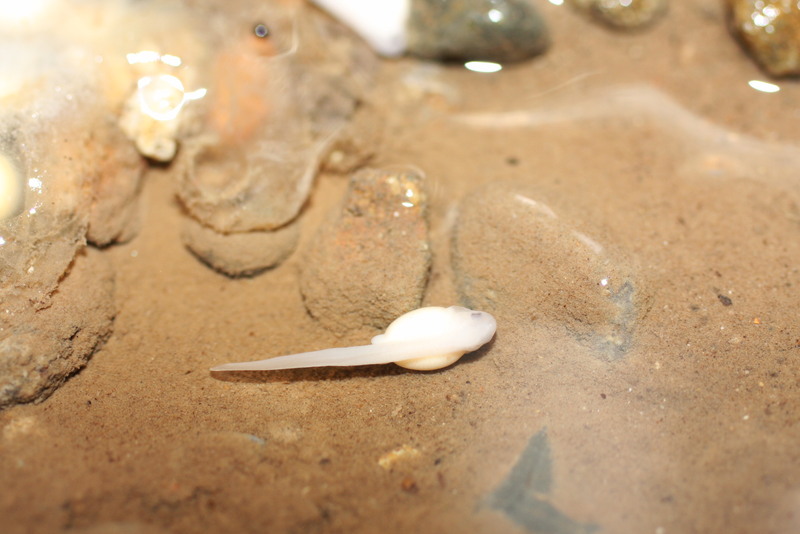 The first eggs were infertile, but in March 2010 40 eggs with 25% fertility were laid, and 9-10 tadpoles resulted. Funded by Fauna Recovery New Zealand ($12,000).